Precision fasteners for aircraft: GE Aviation, Avio, Pratt & Whitney. We also produce components that require secondary operations, including shouldered studs, drilled studs, and studs with locking features or wrench pads. PTP's specialty is precision fasteners for aircraft engine manufacturers, including GE Aviation, Avio and Pratt & Whitney; we also supply component manufacturers, and engine overhaul and supply services. Outside the aerospace sector, we manufacture fasteners for submarines, military tanks, space vehicles and the nuclear power industry. PTP is located in the heart of Aerospace Alley, and is an active member of ACM. We have repeatedly expanded our facility, and invested aggressively in advanced manufacturing and technology assets. Most recently, we moved to a spacious new headquarters and manufacturing center in Bristol, CT. 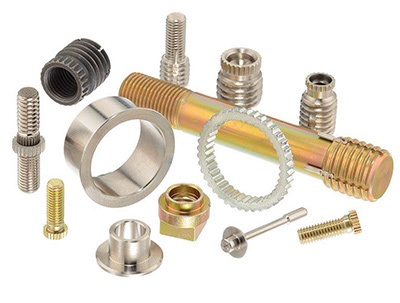 Precision Threaded Products and its team of technicians, machinists and customer service specialists is dedicated to serving the needs of aerospace manufacturers and distributors who require fast turnaround on orders of 100 to 10,000+ pieces. We maintain a substantial inventory of certified raw materials, including high temperature stainless steels, Inconel, Waspaloy, titanium, and aerospace alloy steel. 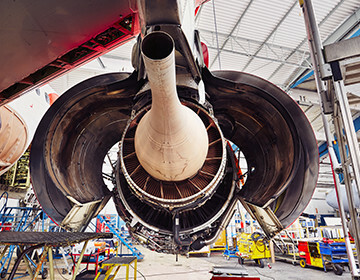 Precision Threaded Products is a world class manufacturer of aerospace components: key lock studs and inserts, ring lock studs and inserts, bushings, pins and other fastener products critical to the aerospace and aeronautical OEMs and distributors we serve. We strive for continuous improvement in our processes and procedures, and recongnize that our most important competitive advantage is our people. We highly value innovation, welcome new ideas from each associate, and encourage continuing education in every department. We invest aggressively in new equipment and technology, and work diligently to expand our manufacturing capabilities in line with emerging customer requirements. Satisfying the needs of customers is our most important priority. We are committed to providing unparalleled responsiveness to customer inquiries, to maintaining the highest quality supply chain, to delivering high quality product on-schedule, and to providing the greatest overall value with every order.